Midwest ballet student Ruby Adams (Keenan Kampa) goes to New York as a scholar at the Manhattan Conservatory of the Arts. Johnnie Blackwell (Nicholas Galitzine) is a gifted British violinist who plays for money at the subway station. Ruby’s extraordinary talent is recognized by school authorities but she is challenged to go beyond mere technique, lest she lose her scholarship. Similarly, Johnnie has a problem with his non-immigrant status. Ruby and Johnnie meet, and under the circumstances a friendship is born. The all-technique dancer and the all-soul violinist are both high strung (pardon the pun) over their problems, try to help each other out, and in the process fall in love. Or is it the other way around? With a plot like that, High strung is a foregone conclusion. Like all the dance-centered flicks young audiences love like Step up and Fame, its story is written to show off performances. Its 27-year old star Kampa is a real-life ballerina and has been dancing since she was four years old—this is her first movie, and she’s here for the dance, so she’s not really an actress in that sense. Nonetheless, she delivers well, the dance floor being her real world—she can emote as her role demands, and she executes enviable splits in mid-air. Galitzine on the other is said to have studied violin, but let the virtuosos judge how well the actor with a pout does it here. Performances from the other dancers are engaging, and the final piece that blends ballet and contemporary moves is really refreshing. Thus, despite the clichés, High strung is not that bad, really; in fact, it pleases in that it highlights certain desirable human traits like closeness between mother and daughter, honesty of shop keepers, hard work, true friendship, self-mastery, etc. Unlike most “dance” movies with the lead couple getting hot over each other, here there are no “bad examples” for young viewers. It’s the couple’s transformation and their transcendence over their individual situation that are underscored. The uptight ballerina learns to loosen up and therefore becomes a superior dancer, the brooding violinist opens up to his friendly neighbors and… well, all is well that ends well. If you want exuberance and energy in a movie, this is it. A prequel to Snow White and the Hunstman, the story happens many years before the Snow White’s story. The evil queen Ravenna (Charlize Theron) has a sister, Freya (Emily Blunt), whose magical cryokinenetic powers—the power to use cold and ice in physical combat—awaken following the mysterious death of her only child. She leaves her sister's kingdom and establishes her own empire in the icy North. She abducts children from villages, and raises them to be her soldiers—hunstmen. Two of these children are Eric and Sara (Chris Hemsworth and Jessica Chastain), who grow to become her finest huntsmen. And in spite of Queen Freya's rules against love, the two fall in love. Queen Freya uses her magic to separate them, and Eric, believing that Sara is murdered, spends the next seven years mourning her death. Things take a different turn, when the Ice Queen Freya hunts for the magic mirror which used to belong to Queen Ravena, now believed to be dead. 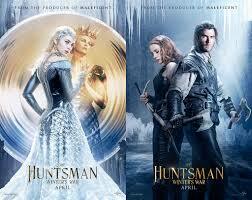 The Hunstman: Winter’s War takes a different turn on the original popular fairy tale, Snow White. Here, the audience will only hear the name of the famous princess who will not really appear in the picture. The result is pretty interesting, although one can sense that the film is having quite a difficulty in terms of focus and real identity. Although the two huntsmen are in the center of a love story, the sister/rival queens seem to be more interesting characters. The acting is fine. Hemsworth and Chastain are able to deliver although as lovers in the story, there should perhaps be more justification to endear them to the audience. Blunt is terrific and Theron is as fierce as ever although she lacks the needed exposure to establish more tension in the story. Elaborate production design and visual effects are effective, making The Huntsman: Winter’s War in its totality a feel-good and an enjoyable watch only despite its weaknesses. 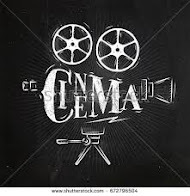 The film is very clear on its theme as it is verbalized quite a few times – “love conquers all.” It refers mainly to the romance built between Eric and Sara amid the strong rule of the ice queen not to love. Although the love the queen is referring to is love in general so it also applies to kinds of love other than the romantic one. The Huntsman: Winter’s War is able to deliver the message loud and clear. Freya’s traumatic experience brought out the worst in her and her outrage and anger turned her into a cold being – literally and figuratively. Her heart turned not just cold but as hard as ice. The film clearly defines hatred, greed and vanity as evil. Ravena symbolizes the evil of all evils. Freya’s circumstance made her evil for a time but then, goodness in her heart still triumphed in the end as it is her real nature. It may have been hard at first to accept her sudden change of heart just because of one traumatic experience—but then, that could be very human of her to feel hate and anger. Her remorse towards the end is a redeeming factor. The bond between Eric and Sara could have been stronger had there been more tension and emotions at stake. But shallow or not, love is love, is able to conquer the evil of evils, and it is maybe enough that the message “love conquers all” comes across loud and clear. The violence in the movie, although in context, must be explained to the very young audience. Hustler pickpocket Michael Mason (Richard Madden) is an undocumented American tourist in France. His modus operandi involves getting attention of the people in a crowded spot of Paris, France which he succeeds without being caught. Until he observes an anxious woman Zoe Naville (Charlotte Le Bon), who happens to be a terrorist accomplice, as his next likely victim. He steals her handbag not knowing it contains a bomb hidden in a stuffed toy. Thinking there is no valuable in the bag, he throws it in the street corner; it detonates to his surprise, killing four people. He is caught in a camera that goes viral in social media, identifying him as a prime suspect in a terrorist plot. He becomes the object of a nationwide terrorist manhunt. CIA agent Sean Briar (Idris Elba) captures Mason and discovers he’s not a terrorist. He then uses Sean’s pickpocketing skills to uncover a large-scale corruption and conspiracy in a bombing campaign designed to bring Paris to downfall on Bastille Day. 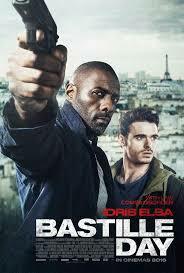 Bastille Day has a thrilling story. It cleverly connects street crimes like pickpocketing and high profile corruption to Bastille Day, a special holiday in the France. 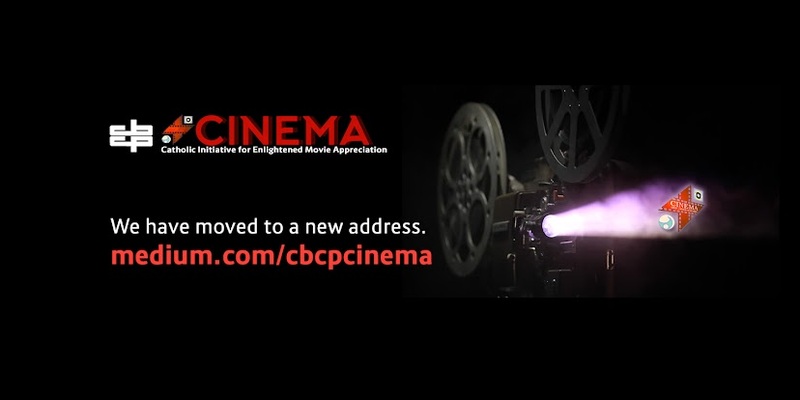 This has been heightened by director Watkins’ good treatment of combined action, humor, and suspense. Although there seems to be carelessness in a scene of conversation openly in the street after discovering a suicide and beside a hot car. The roof chase also unnecessarily takes a while. Nevertheless, the lead actors Madden, Le Bon, and Elba equally give their strong and impressive performances. The editing is likewise good especially in pickpocket scenes. The cinematography is shot with clarity and coherence, supported by good production design. Other technical aspects – sounds, musical scoring, and lighting complement the overall presentation of the film. Bastille Day believes that there is always a chance to change and that criminal skills like picking pockets may be used in a positive way to stop the chaos or to uncover high level corruption. No one can deny that corruption involving high ranking officials and law enforcers is already a reality in human society. Pickpocketing becomes relatively petty beside big-time stealing although viewers are reminded that it is still stealing and an equally punishable act. Similarly, a bomb in whatever form is dangerous and can kill people; therefore allowing one’s self to act as a mule to plant a bomb for whatever reason is a big risk to one’s life and others, not to mention property. The serious situation in Bastille Day needs a strong willed, discerning person with wisdom and the willingness to take risks, like the character of Agent Sean. Finally, social media can make or unmake a person. Viewers are reminded anew to be responsible in their use. Shortly after a love quarrel with her fiancé, Michelle (Elizabeth Winstead) figures in a car accident and loses consciousness. On waking up she finds herself chained onto a wall without any idea where she is. In that strange place she meets Howard (John Goodman)) who explains to her that she has been rescued from the danger of chemical hazards and is brought to the underground place for safety and protection to keep her alive. In the same place, Michelle meets Emmet (John Gallagher, Jr.), another rescued survivor. The two of them think that Howard is an equally dangerous man when he denies entry to Leslie (Suzanne Cryer), who is already contaminated by the chemical. Emmet and Michelle plan to escape. But Howard discovers their attempt to flee. 10 Cloverfield Lane has a commendable plot. It is well developed, unpredictable and impressively sustains suspense. The director did well in carrying the story with effective attention to detail. The actors equally gave their share of excellent, thrilling performance. The cinematography is likewise good; it complements the amazing production design while being enhanced further by careful editing. The rest of the technical aspects satisfactorily contribute to the overall aesthetic value of the film. There is value in possessing foresight, resourcefulness, and strong determination to protect life. There is further value when interest for safety is not contained to one’s self but is extended to include others. The film depicts charity that is marked by hospitality and generosity in sharing home and food to the needy. However, distrust gets in the way and the motivation in helping others is questioned. While trust may bring peace of mind and a carefree feeling in the heart, in times of trouble and confusion, it is very hard to trust and to forgive. 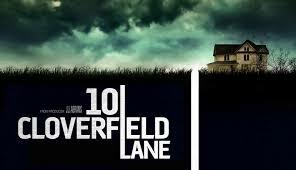 The film 10 Cloverfield Lane disregards the trust, forgiveness and sacredness of life. Toula Portokalos-Miller (Nia Vardalos) and husband Ian (John Corbett) are now often at odds with their 18-year-old daughter Paris (Elena Kampouris) who disagrees with Greek traditions and can’t accept her clan’s behavior. Toula has also to contend with the expectations of close relatives and the aging parents—something that pulls her away much of the time from her husband. Crisis arises when the family discovers that Toula’s parents Kostas (Michael Constantine) and Maria (Lainie Kazan), husband and wife for 50 years, are not yet officially married in Church. Now Maria wants Kostas to seriously propose marriage to her. Kostas adamantly refuses but at a crucial point gives in and pops the question. The wedding planner hired for the occasion quits from the pressure imposed by the loud and huge family. 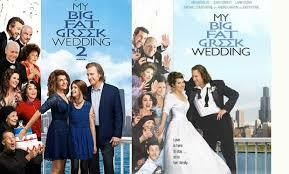 How will the big fat Greek wedding then come to pass? A sequel to My Big Fat Greek Wedding (2002) this can stand on its own, although some parts may not make sense to those who have not seen MBFGW #1. My Big Fat Greek Wedding 2 may have its technical loopholes—some jokes fall flat, sometimes characters project like amateur actors, editing is sometimes lumpy, etc.—but with a story that everyone one with a family can relate to, technical imperfection is forgiveable. If the plot is the spine, the development of the characters is the flesh and blood around it, animating the movie and putting on the big screen people that viewers can care about. Credit goes to Vardalos’ script, delivered from the heart by the ensemble. It will be remembered that Vardalos, its star and screenwriter, earned an Academy Award nomination for Best Original Screenplay with My Big Fat Greek Wedding in 2002. Critics have been harsh on My Big Fat Greek Wedding 2. The consensus on Rotten Tomatoes says it is “as sweet and harmless as the original, but its collection of sitcom gags and stereotypes never coalesces into anything resembling a story with a purpose.” We have yet to see how MBFGW #2 eventually compares at the box office with MBFGW #1, but it’s clear that critics and audiences do not see eye to eye here. The original had a budget of $5 million and ultimately grossed $368.7 million worldwide, making it the highest-grossing rom-com in history despite its never becoming number one in box office charts. It seems film critics who bash the movie miss the “purpose” in Vardalos’ story. Dipped in cream and rolled in sugar and spice is its dough—solidly but subtly promoting the values of love, marriage, family. The movie throbs with love and acceptance—perhaps that’s what viewers really want to see in a world that’s bent on destroying itself with selfish isms and ideologies. Read the viewers’ comments and reactions to reviews and understand why audiences even clap their hands at the end of the movie. 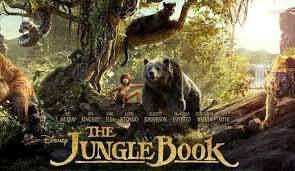 As a baby, Mowgli (voiced by Neel Sethi) is rescued by Bagheera (Ben Kingsley), a black panther. He is brought to the wolves Raksha (Lupita Nyong’o) and Akela (Giancarlo Esposito), and is raised by them. When Mowgli grows to become a young boy, the tiger Shere Khan (Idris Elba) threatens to kill him as humans are not allowed in the jungle. Mowgli flees his jungle home and sets on an action-packed adventure and self-discovery into the deep forest where he is hypnotized by the python Kaa (Scarlett Johansson). He is rescued by and becomes friends with Baloo (Bill Murray), a bear, and kidnapped by King Louie (Christopher Walken), an orangutan. A note of caution to parents: some scenes may be too violent for very young children. (Full review to follow). Eighteen months prior to the present times, Bruce Wayne (Affleck) loses his father as he witnesses the destruction caused by Superman’s (Cavill) battle with Zod in the Metropolis. For Bruce, Superman’s presence attracts alien hostiles and his over protectiveness for Lois Lane (Adams) puts the entire society in danger. Fast forward to the present, Clark Kent, now a senior reporter in the Daily Planet, frowns upon Batman’s vigilante style in combating crime. Meanwhile, Lex Luther has been plotting a scheme to frame Superman for countless loss of lives in an encounter with an African dictator and eventually have him and Batman battle to death. Amidst this complication, another superhuman, alien—Wonder Woman—is trying to make her own investigation before Lex discovers the rest of her kind living on earth. Superman vs. Batman: Dawn of Justice is one of those movies whose outcome does not meet expectations set by all the hype of its publicity and anticipation of the fans. It is disappointingly awkward, slow paced and illogically convoluted. Affleck and Henry have no chemistry as “frenemies” or charm as the unknowing victims of Lex’s insanity. Wonder Woman is like a stick figure surfacing merely to parade her evening gowns and flash that synthetic smile. The real let down is the direction—or the lack of it. 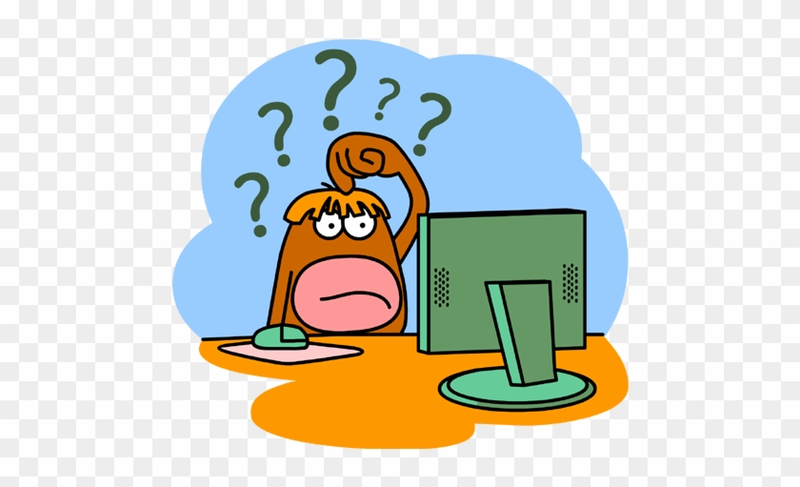 There are just too many subplots that need to be explained and back stories that had to be exposed at the expense of moving forward. By the time the action picks up, viewers are already too exhausted trying to put pieces together. Holly Hunter’s Senator Finch and Affleck’s worn-out Bruce Wayne are the performances that saved the film, as well as Zimmer’s dramatic scoring. Sadly, not enough to make viewers believe all the wait and anticipation was worth it. At the end of the movie, you simply don’t feel any sympathy for any of the characters. What does it take to be a hero? Bravery? Courage? Superhuman powers? Gadgets? Intelligence? Cunning? Maybe all of the above because these qualities make one SUPER. But at the same time, we can’t produce a real superhero/heroine even with all of them combined. Why? Because our superhero has to have a heart and soul. A heart that empathizes with the oppressed, the victim, the one in need and a soul which pushes one to sacrifice him/herself to save someone else and to dedicate his/her existence for the betterment of the world. The heroes in this film are as super as they can be but every inch human as well. While Batman and Superman had their boyish moments of territorial aggression and dislike for each other, they were able to overcome their grudges to save Superman’s Martha - and figuratively Batman’s Martha as well. At the end of the film, Superman chooses to sacrifice himself to save the world and Batman chooses to honor his sacrifice by gathering and protecting other super humans so they can in turn continue saving the world.